Two days after being hospitalized and missing last weekend's Coachella set, Chance the Rapper's team has posted an update on his condition and revealed the cause of his illness to be "a combination of the flu virus and tonsillitis." "Upon rising on Sunday morning, Chance was running a 104 degree fever and could not speak due to the inflammation of his throat," his manager said in the statement. "He was rushed to Hollywood Presbyterian hospital where he was put on an IV drip and medicines were introduced to help control his body temperature and pain caused by his illness." While the Chicago rapper is expected to make a full recovery, the statement revealed that he would have to cancel the remainder of this week's shows. His next scheduled appearance is Friday, May 2nd as part of Dallas' JMBLYA festival. The rapper, whose real name is Chancelor Bennett, had tweeted last Friday evening that he was feeling sick after performing iin Las Vegas, but noted that he had two days off to get better and was expecting to recover in time for his second Coachella set. Two days later, a new series of messages appeared on the account signed by Chance's management. "On behalf of @chancetherapper and our entire team- We sincerely regret to have to cancel our 2nd weekend at coachella," said the rapper's management. A photo also appeared on Instagram showing the rapper lying in a hospital bed, hooked up to IVs with the caption "Pray for my boy chance." The statement said that the Acid Rap MC will be seeing a specialist this week to determine if he needs surgery. 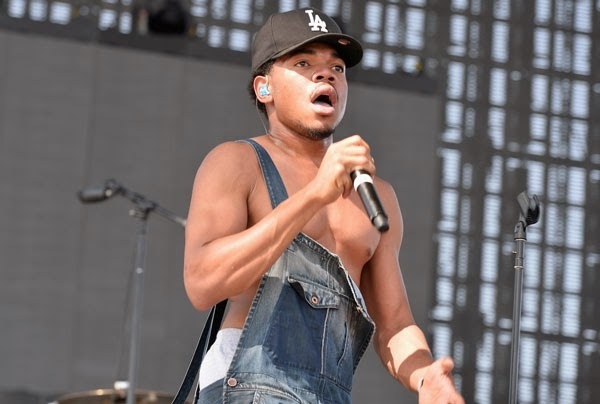 Last Friday, April 18, 2014, Chancelor Bennett PKA Chance the Rapper came down with a high fever and was experiencing difficulty breathing. Upon arriving at the Coachella music festival that day, he requested that he be brought home to rest for two days before his appearance at the festival onSunday afternoon. He spent the night and Saturday in bed with assistance from his family whom had been in Los Angeles area at the time.